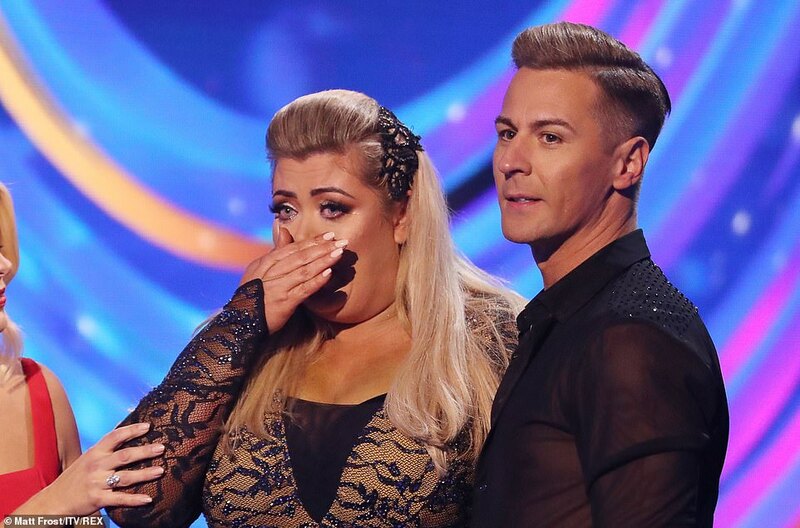 Gemma Collins returned to the rink on Sunday night with her pro partner Matt Evers, a week on from her on-air clash with judge Jason Gardiner. And despite claiming beforehand that she ‘needs to let her feet do the talking rather than her mouth’ she put on an impressive show to Celine Dion’s All Coming Back To Me… but fell at the last hurdle. As she and Matt embarked on their final flourish of the routine, the TOWIE star, 37, tripped and fell forward onto the ice. She lay there for a moment, and it appeared she had fallen on her face, but within seconds she was helped up by Matt, sure to plaster a smile on her face. The reality star held on to Matt and nestled into his shoulder – looking to be upset – but the Essex diva remained composed and poised for her chat with the judges afterwards – gaining the highest score she has received yet this season. Head judges Jayne Torvill and Christopher Dean both commentd that Gemma had ‘worked hard and improved’ since last week. But the comments viewers were waiting for were Jason’s, following last week’s scathing drama. Ahead of her skate, Gemma explained in her VT that her mum and dad ‘had a go at her’ and ‘threatened to write her out the will’. 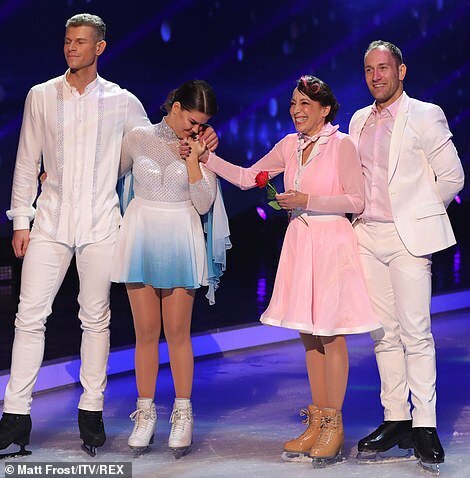 It was later revealed Gemma was in physiotherapy, although she returned to the ice again for the vote off – which saw her go through to next week. James Argent, her boyfriend, told hosts Holly Willoughby and Phillip Schofield that she was emotional and in a little pain, and that she felt embarrassed, but insisted that she had gone out and proven everyone wrong and that he loved her and was proud of her. There was plenty of other drama floating around the rink, giving Gemma’s tumble a run for its money. Notably the fact that Megan Barton Hanson was sat in the audience watching Wes Nelson skate, despite the pair splitting up this week. Megan and her posse ensured that they showed what a good time they were having at the show, sharing clips of themselves dancing in the crowd on social media. And although she stood by her word and attended the show, some viewers were left questioning her motives after they spotted her sat in the audience. 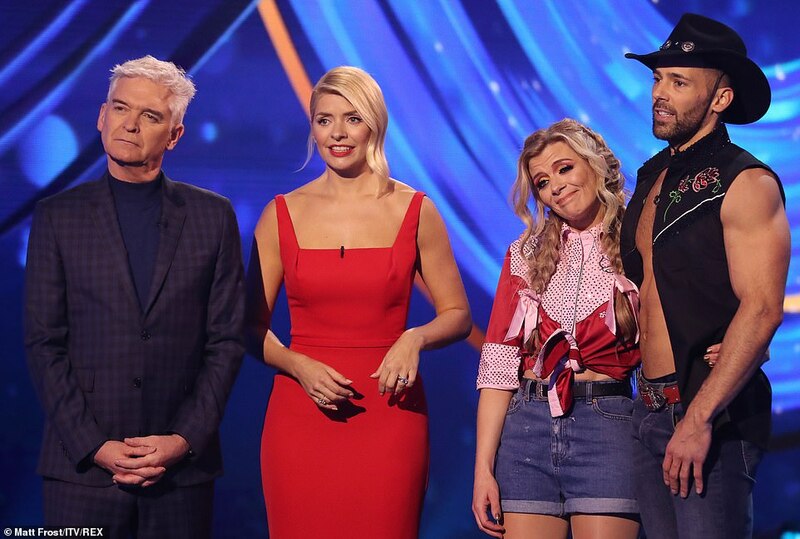 The judges gushed over Wes and Vanessa’s chemistry which left viewers suggesting Megan looked like a ‘scorned ex’ as she watched from the audience. Viewers also accused skating judge Jason of ‘stirring the pot’. Jason’s reply was that her best wasn’t good enough and she needs to be a better skater and that ‘her postural lines are terrible’ and to ‘fix it’, to which Jane snapped back, ‘oh it’s alright, it’s alright’. 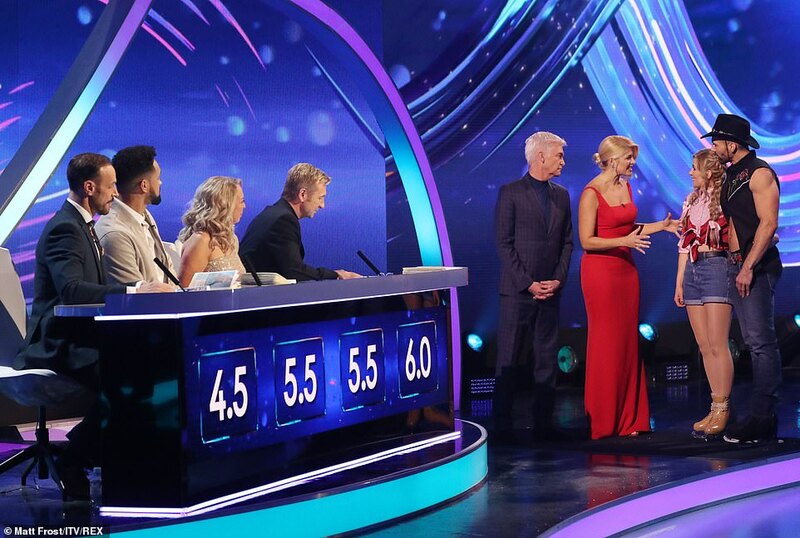 Despite suffering a wobble last week, James Jordan was back stronger than ever when he kicked the show off and received an excellent 31.5 from the panel. Head judge Christopher was so impressed that he said: ‘OMG! You are just burring the lines between the celebrity and the professional. James admitted that he nearly fell on the spin, and Jayne remarked that his turns could be ‘cleaner’ but Jason commented that he was ‘on the right trajectory’. Melody Thornton and Alexander Demetriou scored the highest marks of the entire season, knocking James off that perch with their own tremendous routine. Ultimately it was Didi Conn who was eliminated from the show. The 67-year-old actress failed to impress in the dreaded skate-off against Saara Aalto. All four judges voted in favour of keeping Saara on the series, with Jason saying that Didi’s exit meant the programme was losing a little bit of its ‘heart’. 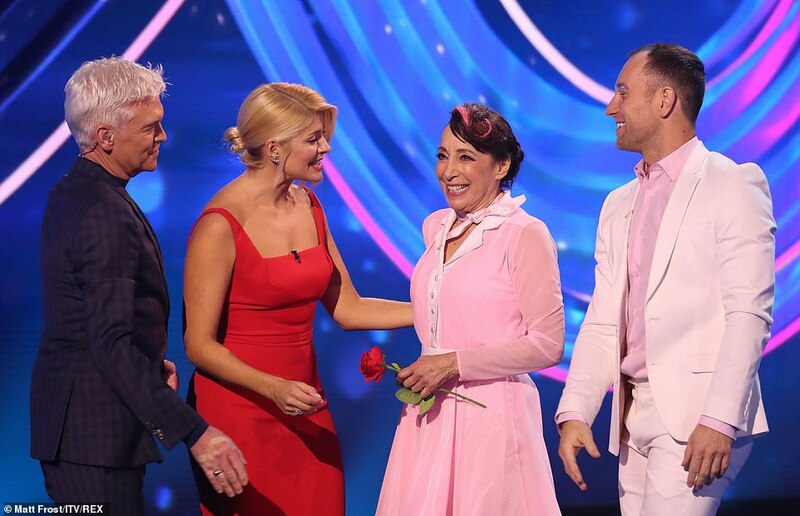 As an extra treat for skating fans Torvill and Dean took to the ice for their first dance of the season. They performed a routine that was a nod to the movie La La Land.